Inspiration Tuesdays - Rifle Paper Co. 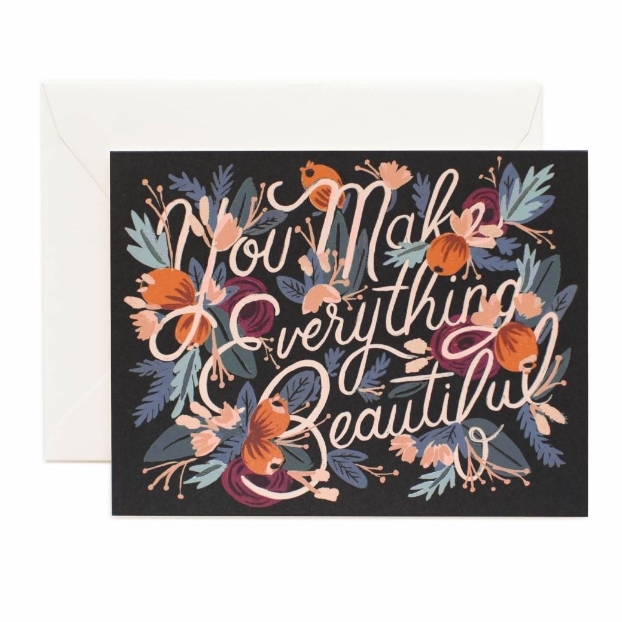 I've been a long time lover of all things Rifle Paper Co., and it's really no surprise that I am still in wildly in love with everything they produce. I can't remember how I was initially introduced to them, but everything from the fonts, to the color schemes is so breathtakingly romantic and feminine. This now flourishing company has inspired me time and time again. Every year creating new products, while somehow seamlessly keeping the overall brand perfectly aligned with their aesthetic. Oh how I love literally everything they make. This is only a small smattering of all of the beauty they create, but I think you get the idea. It's perfection. *Every image is from their (obviously beautiful) website you can visit here. And you really, really should. P.S. You may have noticed that my 2016 planner in the previous post was stunning and stealing the show? No surprise to anyone who that's made by. So good.